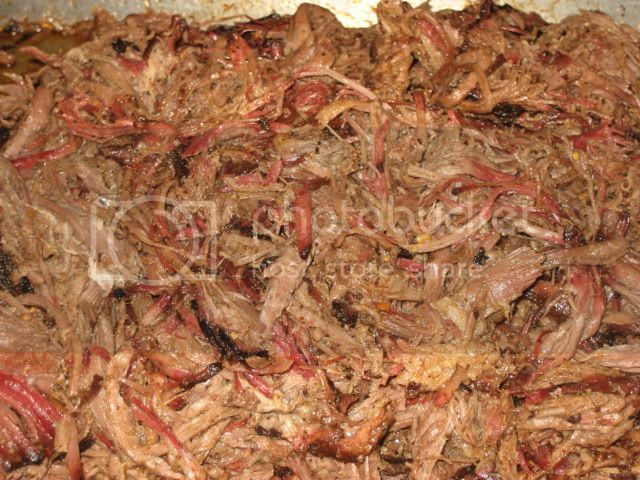 If you love pulled pork, you'll go bananas over pulled beef! This is one of my favorite things to BBQ and requires a good amount of time and patience to do it right. 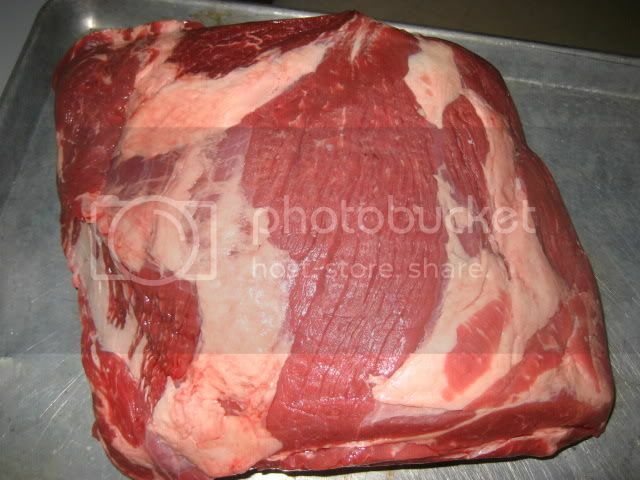 I prefer an 8-10lb chuck roast, they seem to turn out more tender and moist than smaller ones. Wet the roast down with Worcestershire sauce and rub liberally with Wolfe Rub Bold. 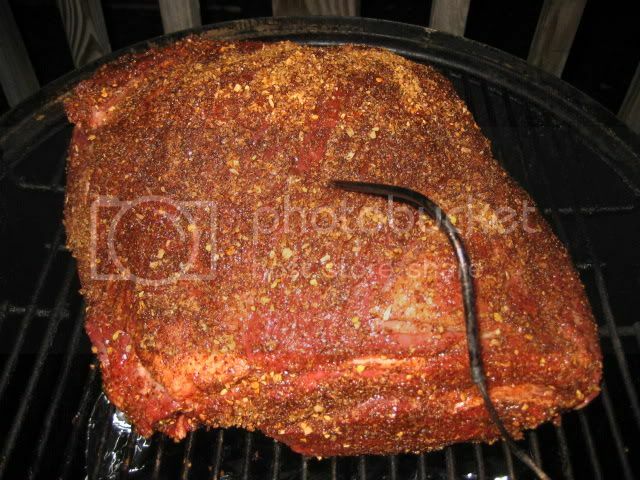 Place on your grill or smoker and cook indirect in the 245º-260º range. I use 4-5 good size chunks of hickory. Cook until you get an internal temp of 165º. 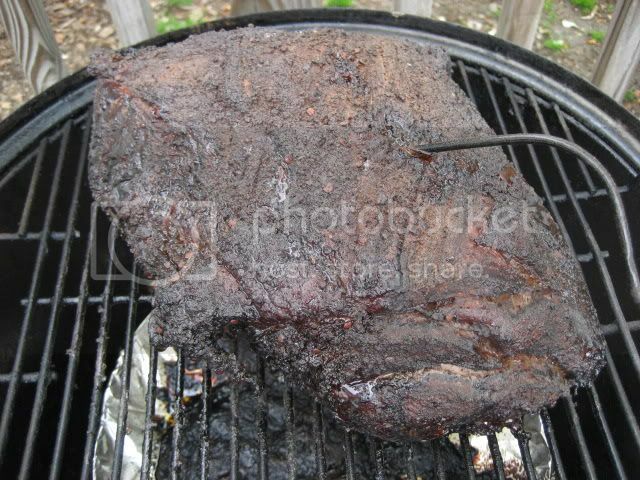 Notice the nice extremely flavorful bark build up on the meat....that's not burnt, that's flavor! This is after about 8 hours of cooking. Double wrap in heavy duty aluminum foil and continue to cook either on your smoker or in the oven at this point. Once it's foiled, there's no benefit 'flavorwise' of cooking it in the smoker. Cook until the meat is tender, don't cook by temperature. But rather, use temperature as a guide as to when you begin to check for doneness. I generally start checking around 190º-195º. When you can easily insert a fork and twist the meat like you're twirling spaghetti, it's done. NOT before then, these roasts are very stubborn, but if you have the patience, it's well worth the effort! If you cannot twist the meat easily, wrap back up in foil and check after every 5º. Once the meat is done, let it rest in the foil for at least an hour, a couple hours is even better. Open foil and let cool for 15 minutes before pulling. If you pull while it's hot, it will dry the meat right out. Using two fork, shred the meat and remove any excess fat or gristle. 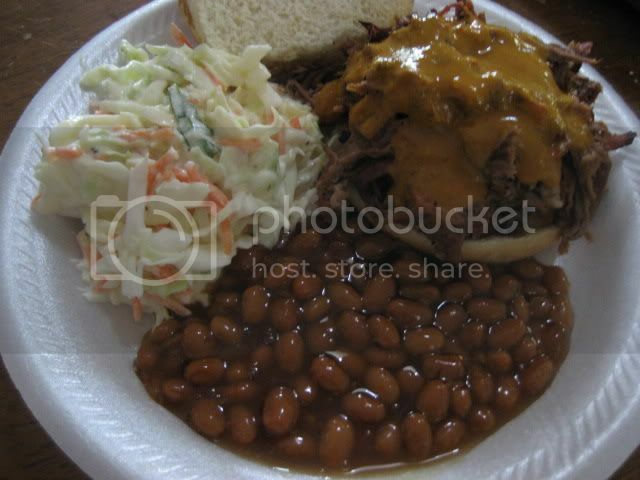 Serve on buns with cole slaw and beans or your choice of sides. 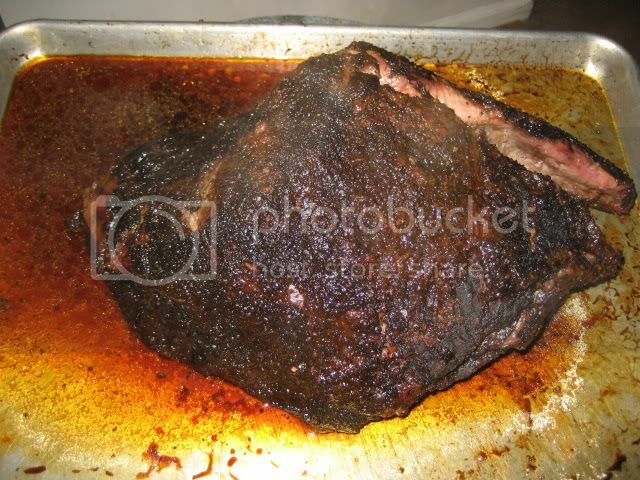 Add some of your favorite BBQ Sauce, I really love Reverend Marvins on beef. Thin sliced sweet onion are a great addition to this sandwich as well! I've tried chuck a couple of times and I'm never satisified - I think I over cook it. I believe your instructions will give me what I want. Thanks for the post. 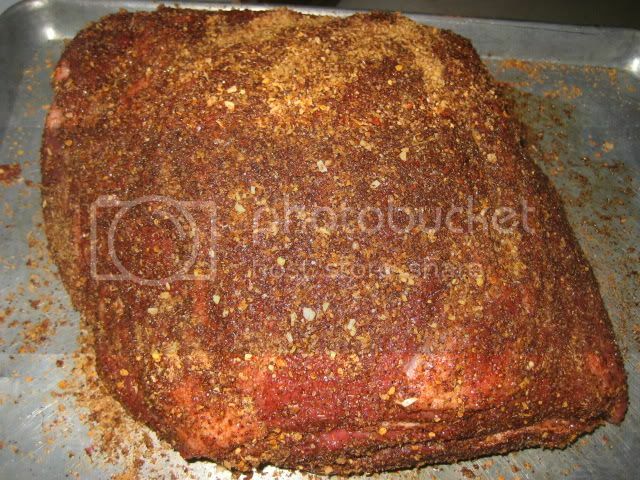 I just picked up a 12.67 lb choice chuck today, I dont have the ingredents together to make WRB, so I'll probably use some Texas BBQ brisket blend, what do ya think? Brandon, it won't be as good as if you used Wolfe Rub, but it will still be good!! LOL Actually, Texas BBQ Rubs are very good!! Holy Cow! 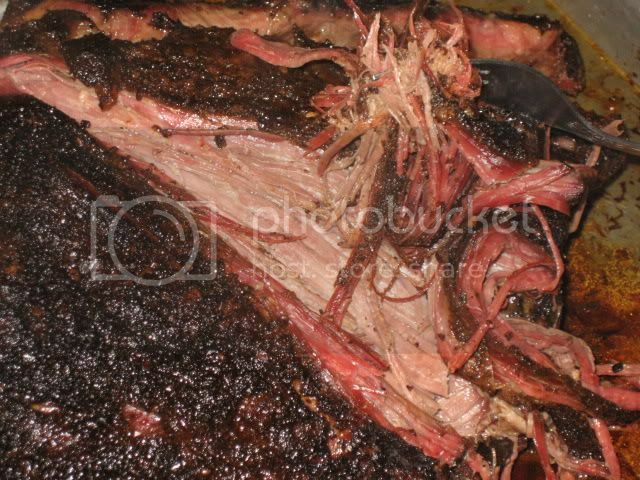 That pulled beef looks fabulous not to mention how good those side fixins are too. Yum! I did this roast yesterday. 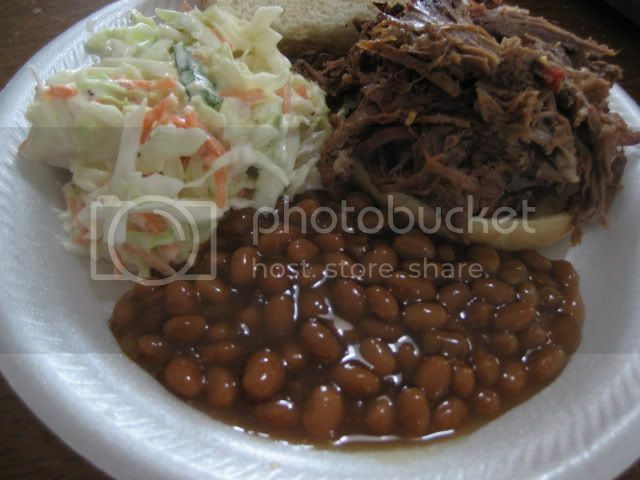 Put it out on a table with some pinto beans and cabbage. In a word - "GONE"! There is no doubt I will do this again. Larry, I'm going to give this one a try. I had a little difficulty finding a large chuck roast. Seems like they were all in the 3-4 lb. range. The third store I visited the butcher was happy to cut one weighing 8lbs. Ahh, that's my favorite size!! How did your chuck turn out?? Larry, I've got a 22lb piece I'd like to smoke in my electric smoker. You seem to be the master...any thoughts? I've got a 5-6 pounder that's going on the grill Friday for dinner in the evening. Thanks for the advice. I'm doing a 22 lb one tonight. Wish me luck. 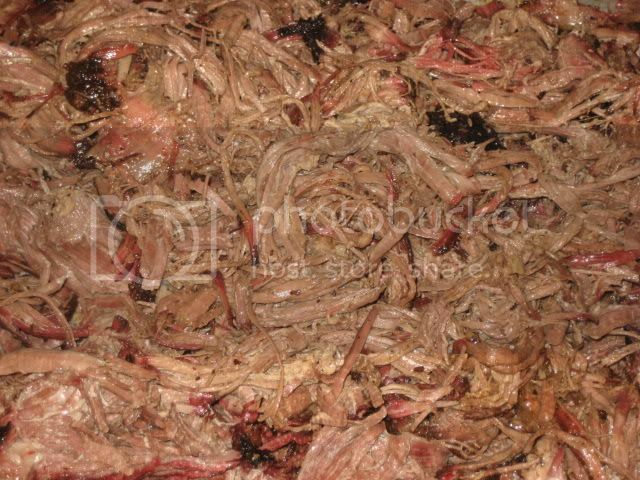 Ultimately I'm feeding about 30 people pulled BBQ beef. Any advice? I've used this recipe a couple of times now, the rub I make is cup brown sugar(1/2dark, 1/2 lite) smoked paprika, onion powder, mustard powder, coarse ground pepper, Ancho chili pepper ,and a dash of Mccormick BBQ seasoning. It comes out amazing! 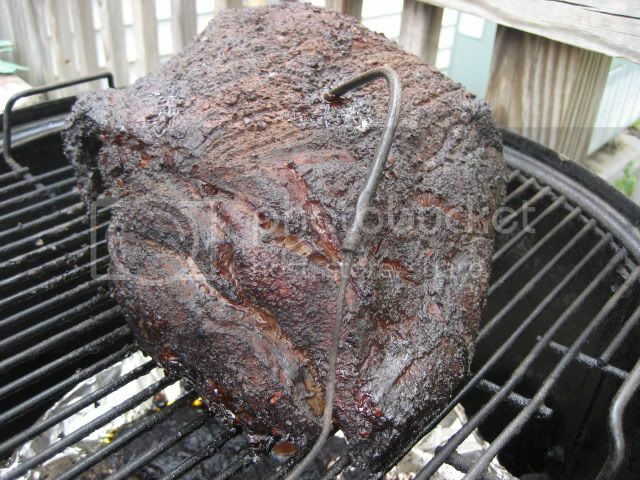 I know this is an old thread/blog....but I'll be smoking a 6.5lber tomorrow using this method. We always smoke and do pulled pork over lump and wood but was looking for something different and saw a nice hibk of beef at Costco today. Thanks Bruce, hope you enjoy! This is one of my favorites. Please let me know how it turns out! Pulled beef is my favorite! Here's another version you may want to try as well - https://www.youtube.com/watch?v=jrWZ74mOTTA Please let me know how you like it! !